We participate in the 2-year-old and the 3 and 4 years old Free Early Education Funding Scheme, implemented by Brighton and Hove City Council. We will set the number of Free Early Education Entitlement places within this setting, and the times during which a place is available. 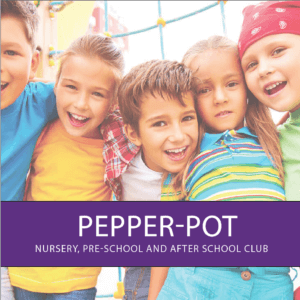 To secure a place at Pepper-pot Nursery you will need to complete the enrolment forms and enclose £35.00 for registration and admin fees (these are non-refundable) and a month’s fees in advance. If fees are not paid promptly you will incur late payment charges this will be followed by exclusion of your child until said fees are cleared. Any bank charges incurred by parents/carers will be added to your invoice. If after exclusion fees are still not cleared court proceedings will take place. We require one month’s notice before your child leaves. Fees are payable 52 weeks a year including all Bank Holidays and are due a month in advance. Please note there is an annual fee increase. If you have paid your month’s fees prior to this, but you are starting after, you will be expected to pay the difference. All fees are inclusive nappies, wipes, breakfast, snacks, tea and milk or water. We have an annual charge for sun cream.